How to decide window treatment sizes? Measure the width of your window, including any wooden frame on both sides. 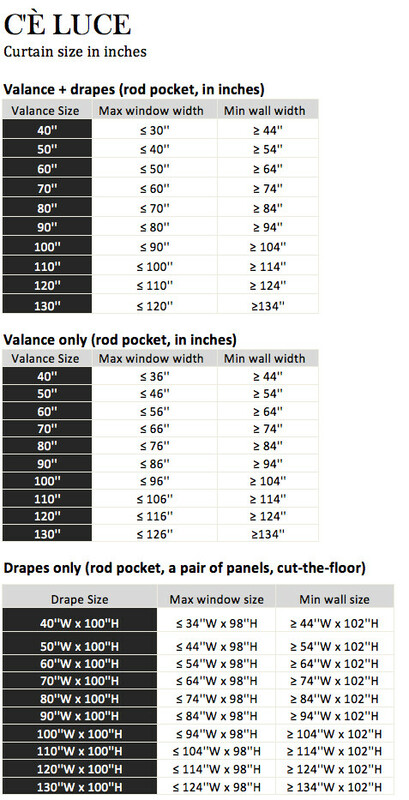 For the rod pocket style, add 3 to 5 inches if you are ordering valance only. If you want draperies underneath the valance, add 10 to 20 inches instead (if the wall space allows) to make the window appear wider. For the board mount style, add at least 2 x board depth for valance only. If you want draperies underneath the valance, add an etra 10 to 20 inches (if the wall space permits) to make the window appear wider.